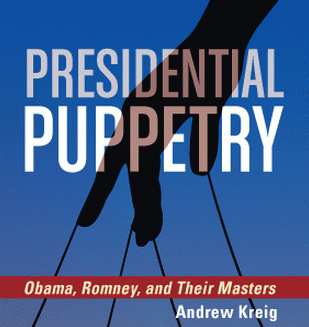 Read "Presidential Puppetry: Obama, Romney and Their Masters," a book just published this week by OpEd News contributor Andrew Kreig. and you'll learn a lot more than you could have imagined, and you'll start seeing the world, politics, and the justice system in a very different, clearer, smarter way. This book exposes the puppet masters who pull the strings of leading officials in both major U.S. parties, including Obama and Romney. Obama, for example, is reported to have worked for a CIA front company, Business International Corporation, in his early twenties. At the time, he was dating, in his first serious love affair, Genevieve Cook, the daughter of the head of Australia's CIA. Obama thus developed, like George Herbert Walker Bush and Bill Clinton, career-enhancing intelligence connections in his early 20s, according to the book, which draws on declassified CIA materials and other reports. Obama's formative ties are just one of many examples of how the military-industrial complex and its Wall Street allies maintain a special relationship with presidents no matter which party prevails in any given election. The reporting is entertaining and cutting-edge, and provides the kind of information we in the independent press believe vital to informed decision-making. As a publisher of the author Andrew Kreig's work, I confess to looking forward to publishing his postings because he combines investigative journalism with constitutional scholarship. This book takes his investigations to the next level, connecting the dots to unveil a big picture that is startling, yet not surprising at all. At nearly 500 pages and 850 footnotes, the book goes into great depth to reveal the goals of those directing the candidates. For example, I wrote last week that Mitt Romney should be regarded as "Bishop Romney" because his experience in that LDS post is longer and more relevant to voters than his single term as governor. Kreig's book amplifies that theme into a full historical context regarding Bishop Romney and his ascendancy within the revamped, tea party-oriented GOP. From that background, Kreig portrays Romney as inspired by his sense of destiny to elevate his church and its flock in the tradition of its founder, who was assassinated during his 1844 campaign for the United States presidency. Ominously enough, the kind of preference that prompted Romney to name fellow Mormon leader Mike Levitt to be Romney Transition director (and presumptive chief of staff) resembles Romney's unseemly deference to business cronies, fellow GOP partisans, and "empire builders" whom he so often lauds as especially worthy of his support. That helps explain, in the author's view, Romney's view that LDS missionary work is the equivalent of wartime military service, along with Romney's apparent view that his tax-deductible church contributions should be generous and his taxes minimal because so much of tax revenue is, in his mind, wasted on the undeserving, aka the despised "47 %." That context helps make more understandable the dire predictions that author Chris Hedges has been making about how the ruling class controlling both parties has enacted a program to "Harvest America" of its resources, including our sustainable environment, our tradition of civil rights, and our middle class jobs and savings. Hedges, a former foreign correspondent for the New York Times, has just authored, "Days of Destruction, Days of Revolt." 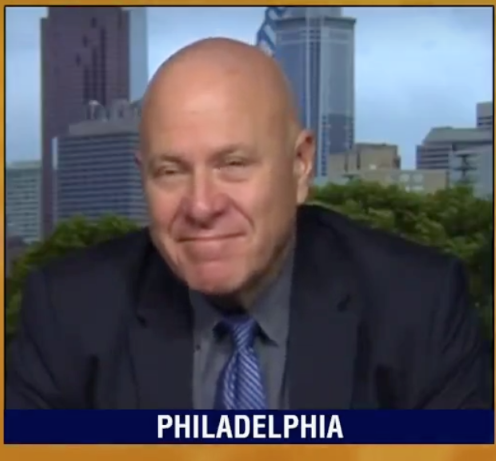 Hedges described in my two-part OEN interview this weekend how cold-hearted governmental arrogance of a Third World-style is increasingly apparent in the United States. This destruction of our community via class warfare is most obvious in our huge prison population, and poverty-stricken ghettos. But it is apparent also in the relentless attacks by leaders of both parties on middle class jobs, benefits, and legitimate expectations of pensions and health care after years of taxes. Kreig's book makes this process more understandable. He demonstrates how the major party candidates, in this instance, both graduates of Harvard Law School, are quite similar in important ways. True, they are differentiated slightly for marketing reasons, much as some vodkas are sold in plastic bottles and other domestic vodkas go to stores in glass bottles at higher prices for image-conscious consumers. In such ways, "Presidential Puppetry" explains why the Obama Justice Department has so far enforced the political prosecutions mounted by the Bush administration in such outrageous cases as the frame-up of former Alabama Gov. Don Siegelman. A Rove-inspired apparatus destroyed Alabama's leading Democrat on trumped-up charges in a pattern apparent elsewhere around the country under "loyal Bushies" who remained after the U.S. attorney purge in 2006. But the Obama administration regarded the department's internal loyalties as far more important than individual rights, according to this book's analysis.